Ronnie Edwards, who had been editing the game theory show for 5 years has passed away. Game Theory, a series on YouTube under the YouTube channel The Game Theorists, is hosted by Matthew Patrick in a show which he talks about gaming theory's and gives extreme in-depth explanations, involving mathematics and science, to try and prove them. Some of these theory's included game series such as Mario, Zelda, Pokemon, Five Nights at Freddies, Undertale and more. Other series on the channel included 'Game Exchange" and "Digressing and Sidequesting". The latter named was hosted by Ronnie Edwards, who later became the editor for the other two shows on the channel, showing passion for more video editing than his own presenting and content. As the shows went on, The Game Theorists grew bigger and bigger, the channel now over 10 million subscribers. MatPat is critically acclaimed for having in depth research on his topics. Many of the credit goes towards Ronnie's editing style, being unique to the channel and helping the videos stand out. 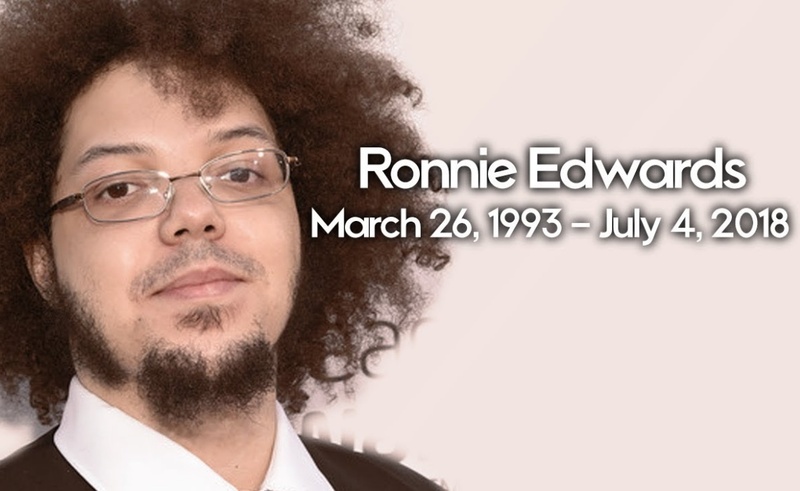 On July 25th, 2018, it was announced that Ronnie had been found dead, a victim of suicide. This was an announced that caught many people off guard, as it was sudden and heartbreaking. If you are suffering from depression and/or suicidal thoughts, please know that you are not alone and that there are people that are here to talk to you. If you need hotlines, please click here.